HTC ONE M8. Mosquito Killer. For HTC ONE M8. Well Protect Your Phone To Prevent the Peep by The People Next to You. Fender Flares. Digital Scale. Kitchen Scale. One Screen Protect Film Wipes. 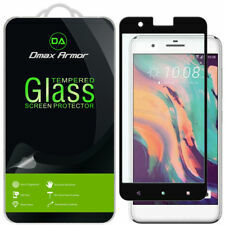 1 x Tempered Glass Screen Protector. Hydrophobic and Oleo-phobic coatings to reduce sweat and oil residue from fingerprint. 0.3mm 9H Hardness Anti-Scratch and Bubble Free. 1 x Dust Remover. Why Buy From Us?. ArmorSuit ® MilitaryShield ® features exceptional clarity and UV protection to prevent yellowing. MilitaryShield® is also equipped with "self-healing" properties to maximize the protection. The self-healing technology works to constantly eliminate minor scratches on the film. Compatible with HTC One A9. We made it smaller to cover the flat portion of the screen and leave the curve edge. Made of Japan Glass with high quality 0.26 mm ULTRA Thin premium tempered glass with rounded edges exclusively. ArmorSuit MilitaryShield HTC One M8 Screen Protector + Black Carbon Film Skin! ArmorSuit MilitaryShield HTC One E8 Screen Protector + Black Carbon Fiber Skin! ArmorSuit MilitaryShield HTC One S Screen Protector + Black Carbon Fiber Skin! ArmorSuit MilitaryShield HTC One X Screen Protector w/ LifeTime warranty! New! Our Military Shield has also been precisely custom cut to provide perfect fitting, invisible protection for your specified device. In addition to the shield’s hardiness, our MilitaryShield is also equipped with "self-healing” technology to further extend its protection. ArmorSuit MilitaryShield HTC One M7 Screen + Black Carbon Fiber Skin! IVisor can be washed and reapplied repeatedly. Item is unopened, unused and factory seals not broken for toy products. PHONE CASES- WE STATE EXACTLY WHAT PHONE THE CASE WILL FIT. Accessory bundle Screen Temperedglass Film for HTC One M10 HTC 10 Lifestyle Sprint. for HTC One M10. Compatible with: HTC One M10 HTC 10 Lifestyle ( Sprint ). There are manyHTC One M10 in the market, they all use different Screen. For HTC One M10. There are manyHTC One M10 in the market, they all use different Screen. Tempered Glass Screen Protector. 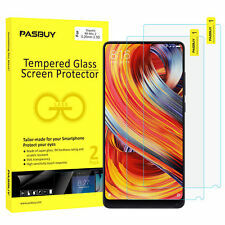 Tempered Glass Screen Protector Film. pieces,all the pieces will paste together and never flew in all directions. Toughened glass has high transparency, and color never changes. Screen Protector for HTC One M10 HTC 10 Lifestyle Sprint. Compatible with: HTC One M10, HTC 10 Lifestyle ( Sprint ). for HTC One M10, HTC 10 Lifestyle. For: HTC ONE M8. Ultimate Protection. LG Series: LG G4. Silicone Rubber Case and Screen Protector. This custom screen protector is designed to protect your LCD screen from dust, scratches, and smudges and includes a lint-free cleaning cloth. Ultra thin, Tempered Glass, 0.33mm, 9H hardness, durable to use. Toughened glass has high transparency, and color never changes. Screen Protector for HTC One M10 HTC 10 Lifestyle Verizon. for HTC One M10, HTC 10 Lifestyle. Enables easier one-handed texting, photos, selfies, and holding your phone or tablet | STOP DROPPING YOUR PHONE. Slim pocket-friendly design | Soft comfortable elastic grip | Safe no-residue removable 3M adhesive. Compatible with HTC One E9 . We made it smaller to cover the flat portion of the screen and leave the curve edge. Made of Japan Glass with high quality 0.26 mm ULTRA Thin premium tempered glass with rounded edges exclusively. ArmorSuit MilitaryShield HTC One M7 Screen + Black Carbon Fiber Skin! Brand New! Compatible with HTC One E9. We made it smaller to cover the flat portion of the screen and leave the curve edge. Made of Japan Glass with high quality 0.26 mm ULTRA Thin premium tempered glass with rounded edges exclusively. ArmorSuit MilitaryShield HTC One X Screen Protector + Black Carbon Fiber Skin! Compatible with HTC One E8. We made it smaller to cover the flat portion of the screen and leave the curve edge. Made of Japan Glass with high quality 0.26 mm ULTRA Thin premium tempered glass with rounded edges exclusively.